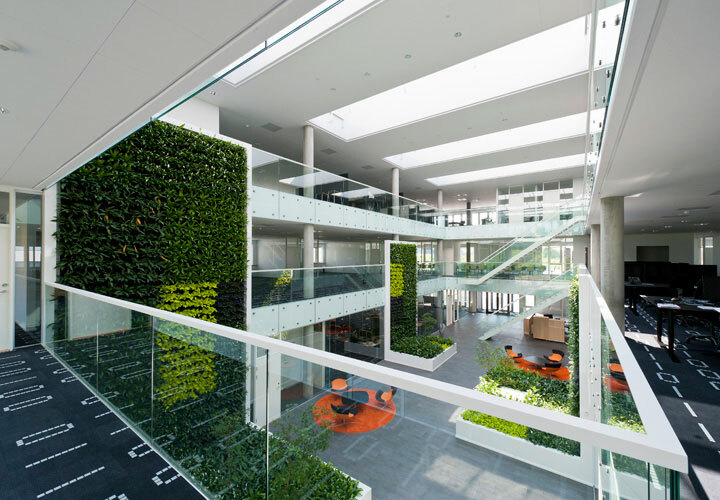 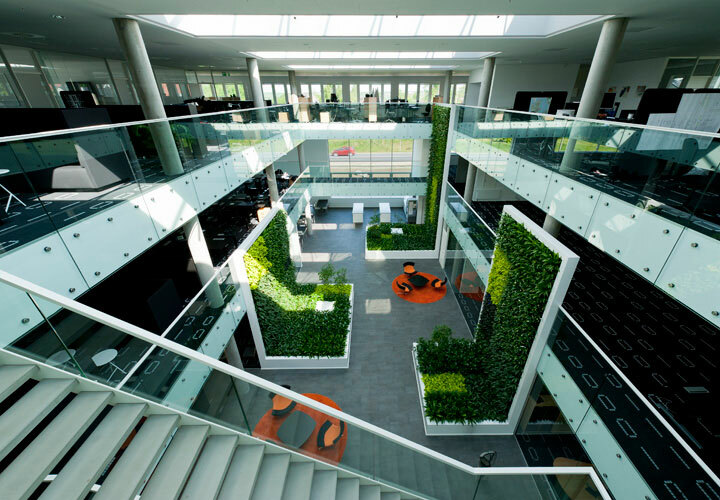 he Elbek & Vejrup company headquarters is laid out as two traditional square atrium buildings. 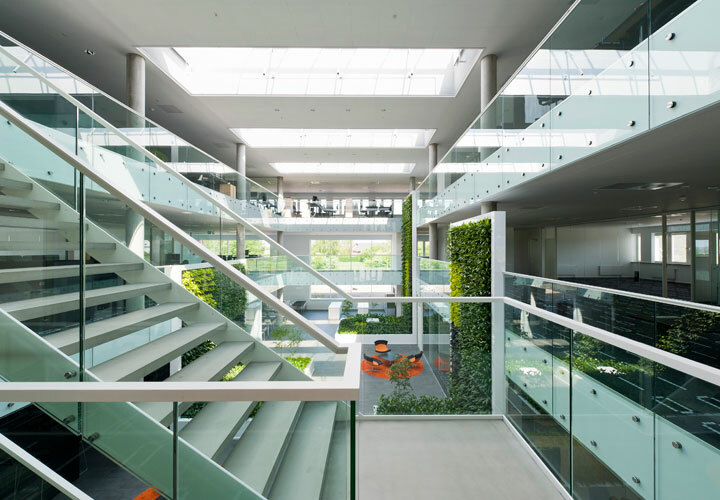 The first office building was inaugurated in 2011 and the second in 2018. 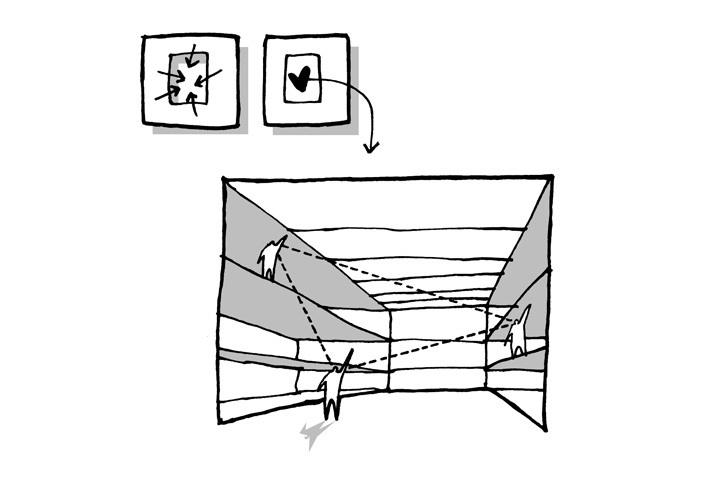 The plan is organized in a diagonal system resulting in rotational symmetry with stairs, cores and entrances placed in opposite corners. 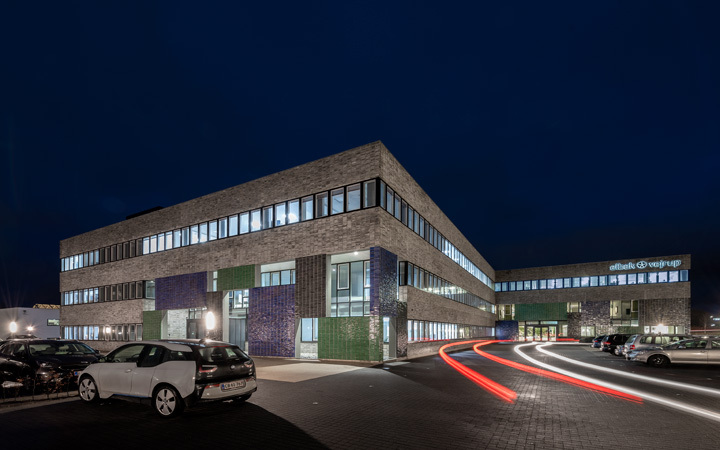 As Elbek & Vejrup develops software systems for a wide range of clients, we were asked to reflect reliability and digital high-tech in the building. 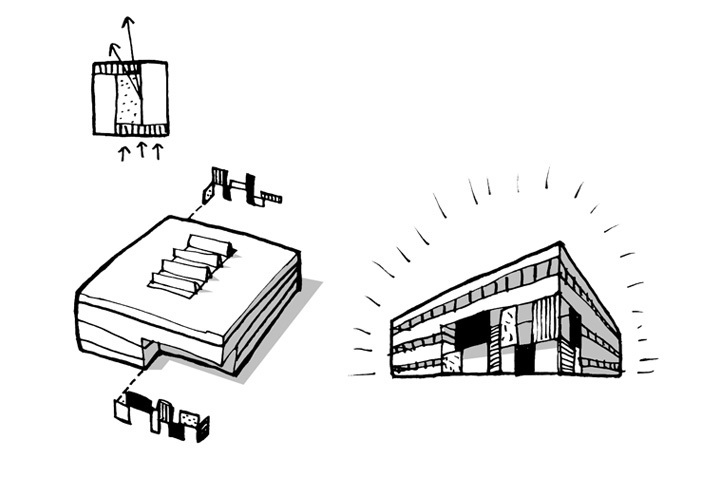 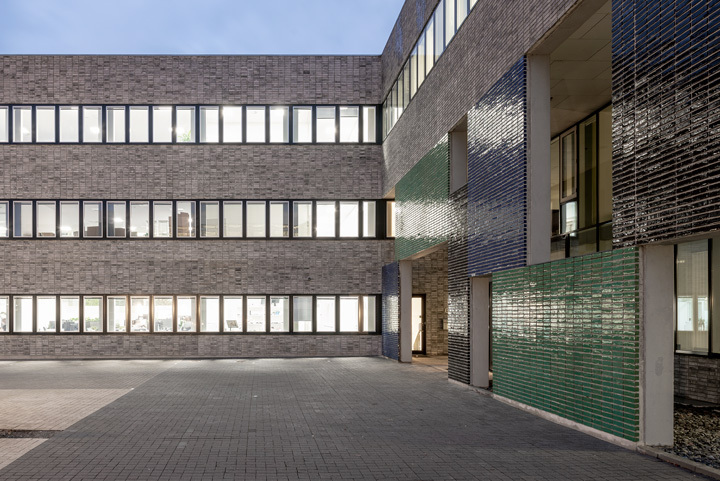 The project’s architectural idea is based on the obvious link between brick and pixels, which we named ‘Brixels’. 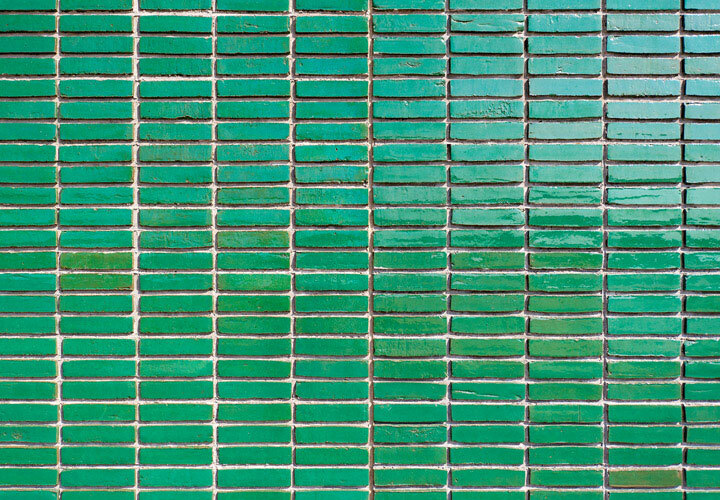 Just as a digital picture or video is made up of thousands of small squares of color, a house is built of bricks or building blocks. 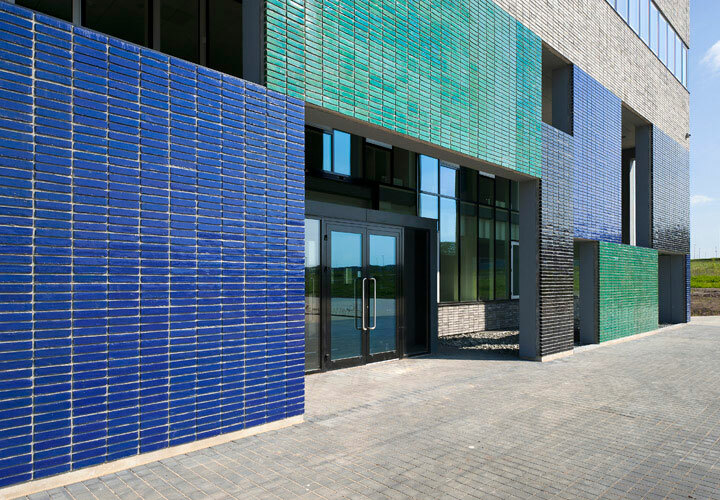 We chose to work with bricks in a straight grid bond to give an old tried and trusted building technique a digital twist. 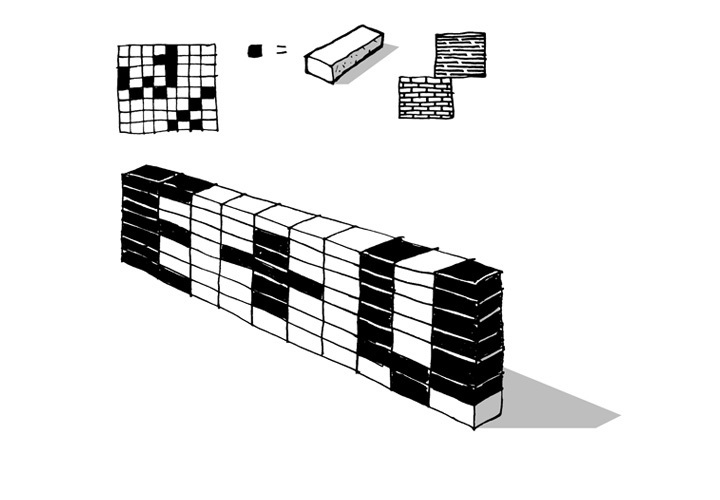 The idea of pixels runs through the entire project like an obsessive compulsive disorder. 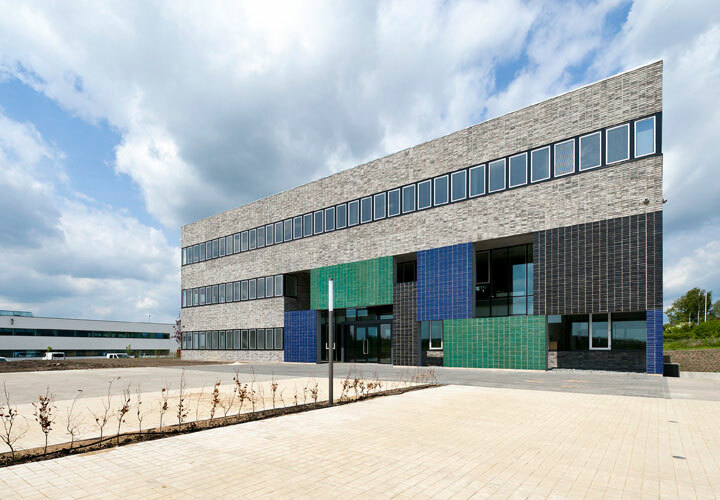 The building’s entrance is composed of a series of squares in different types of coloured bricks, which together form a pixel-like motif that carries on the company’s core competences into the architecture. 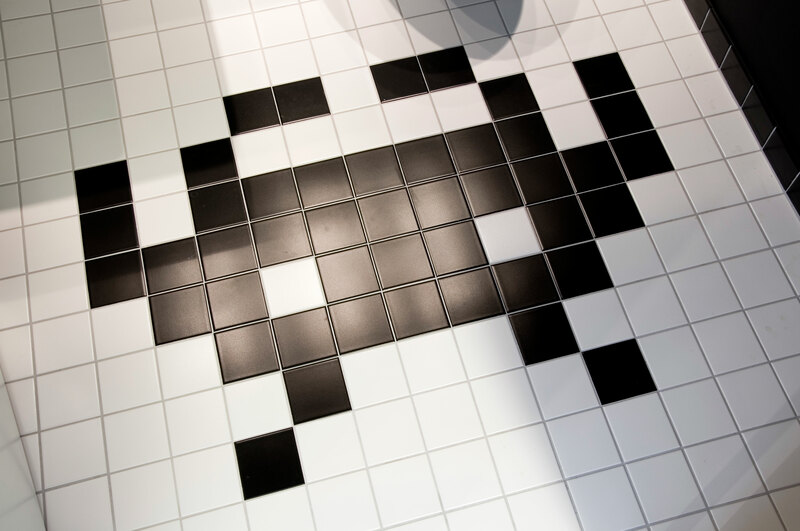 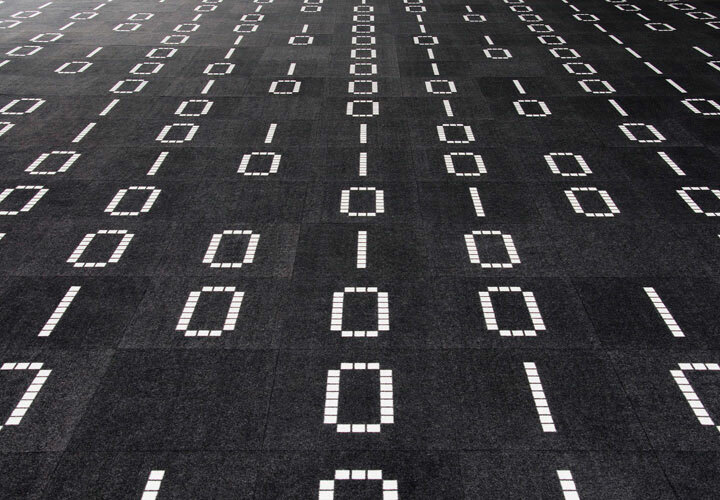 The tiles in the restrooms are decorated with 8-bit space invaders and the custom-made carpet tiles spell the company name in binary numbers built from pixels. 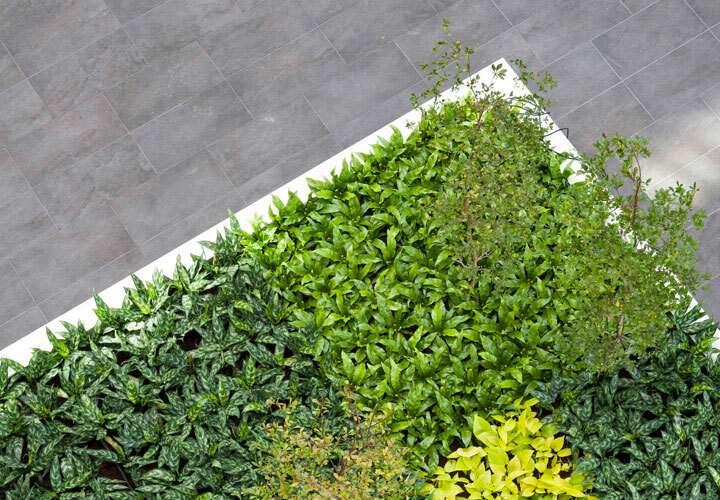 Even the green plant walls are divided so the different species form giant pixels.